Writers/Performers: Maya Angelou and Andrew Young. Directors/Producers: Susan Todd, Dennis B. Kane, and Alex Gregory. PBS / Warner / BBC / ABC / Kane (2000). 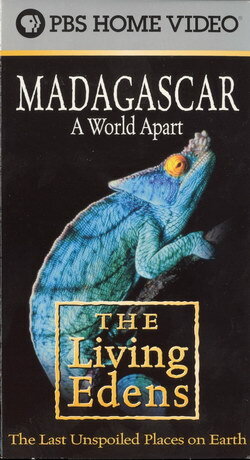 Madagascar is a world onto itself, where evolution has taken the familiar and rendered the bizarre. Split off from Africa since the age of the dinosaurs, Madagascar's isolation gave rise to countless exotic animals and plants that exist nowhere else on Earth. 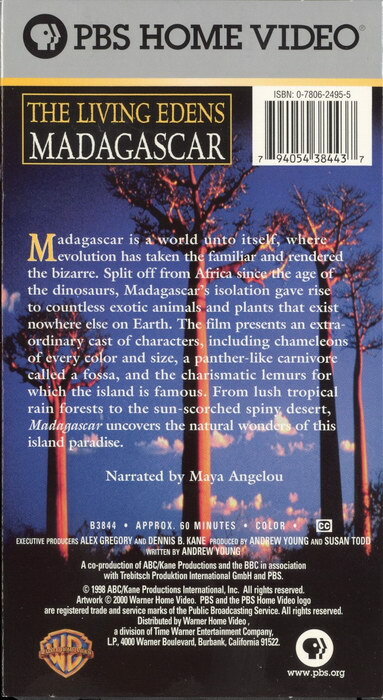 The film presents an extraordinary casts of characters, including chameleons of every color and size, a panther-like carnivore called a fossa, and the charismatic lemurs for which the island is famous. From lush tropical rain forests to the sun-scorched spiny desert, Madagascar uncovers the natural wonders of this island paradise.